• Validation for individuals is tricky and takes a while. Conclusion: This is still a great product and inexpensive solution to secure your software. perfect to secure a windows, mac or linux software. have been getting this certificate for a few years now. works great all the time. highly recommended!! Whenever I need to secure a new software, I use this product and highly recommend it to other developers. Couldn’t find the private key when I first configured it, but it was due to the browser (Chrome). Reissued it and got it validated in a week. Got it issued within a few days. Great price! What is a CodeSigning Certificate? The CodeSigning certificate was specifically developed for increasing the trustworthiness of your software products. This type of certificate protects your digital downloadable goods, like scripts or codes, by signing them and guaranteeing their authenticity and integrity. This certification brings a greater level of your customers’ trust, by ensuring them that your content is safe and it belongs to your company. Moreover, the Authenticode Technology guarantees that if the code will be damaged after being signed, the digital signature will break and alert the client that the software is no longer credible. CodeSigning certificates are Business Validation (BV) and Personal Validation SSL certificates. The Business Validation SSLs require Certificate Authority’s (CA’s) authentication through providing your company’s documents, along with performing domain validation by email. The Personal Validation requires personal identification verification of the owner. The entire validation process may take up to 2 or 3 business days to issue your CodeSigning certificate that will serve as a third party guarantee for the authenticity of your digital goods. You can find our full list of CodeSigning certificates at this link. Which browser can I use to configure a Comodo (Sectigo) Code Signing Certificate? When you configure your Comodo/Sectigo Code Signing SSL Certificate, it is best to use some specific browsers for that. Here is an article that describes which browsers are best to use for configuring a Comodo/Sectigo Code Signing Certificate. 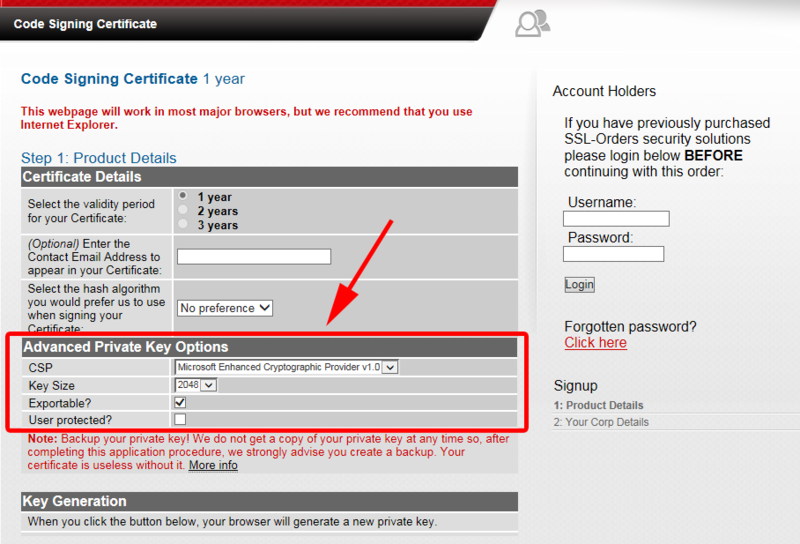 When you configure your Comodo/Sectigo Code Signing Certificate, make sure that “Advanced Private Key Options” is visible to you in the same way it is shown in the screenshot from the right. Internet Explorer is always a good option to configure your Comodo/Sectigo Code Signing Certificate. 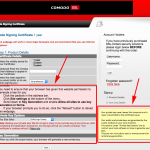 How can I request a Comodo (Sectigo) Code Signing Certificate for individuals? 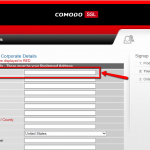 When you configure your Comodo/Sectigo Code Signing Certificate as an individual, you need to enter your first and last name in the “Company Name” field. This will tell Comodo/Sectigo that you are requesting a Code Signing Certificate for an individual instead of a company. 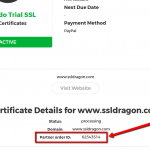 How to pass the validation for my Comodo (Sectigo) Code Signing Certificate? Comodo/Sectigo Code Signing Certificates can be configured for a Business or for an Individual. 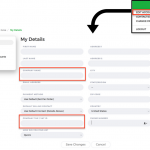 If you configured your certificate as an individual, then you can go directly to the middle of this article, to the section called “Validation for Individuals”, where you will find detailed information about how to pass the validation as an individual. If you configured your certificate as company, then please continue reading. As a part of the Business Validation process, you need to provide information about your company and your company’s phone number. There are three ways to do that. You don’t have to do all three. Doing just one of them will allow you to pass the Business Validation. 2) You need to provide all this information to Comodo/Sectigo Validation Department by contacting Comodo/Sectigo at https://www.comodoca.com/en-us/support/. Click on “Submit a ticket here”, select Validation Department and submit your request. Please include your Comodo/Sectigo Order ID in the subject and in the body of the message that you send to Comodo/Sectigo so that they know which order you are writing them about. 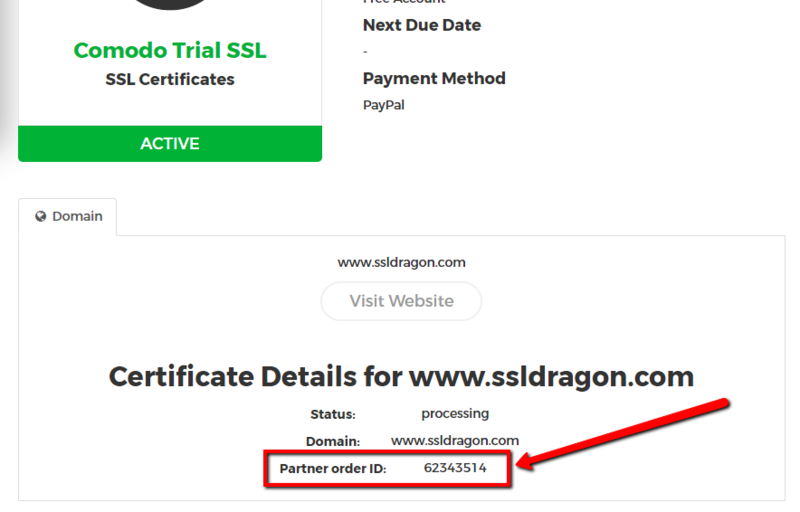 You can find your Comodo/Sectigo Order ID on your SSL Certificate’s details page inside your SSL Dragon account. See the screenshot on the right. If you don’t see your Comodo/Sectigo Order ID, then please open a ticket with us, or email us and let us know the name of the company or the name of the individual that you included in the SSL configuration form, so that we could provide you your Comodo/Sectigo Order ID. There are a few things that you need to do to pass the Individual Validation for your Comodo/Sectigo Code Signing Certificate. 1) (Optional) The first thing that you need to do is to provide your individual DUNS number to Comodo/Sectigo. You can get your individual DUNS number from this website: https://www.dandb.com/. Make sure that your DUNS listing contains your full name, address and phone number. If it doesn’t, then you need to contact Dun & Bradstreet (at https://www.dandb.com/) and ask them to “add your full name, address and mobile phone number to their business directory and on the report”. Duns and Bradstreet is an international company and they have a database with individuals and companies from all countries (USA, Canada, United Kingdom, Australia, New Zealand, South Africa, Germany, Israel, etc). So, they work with international customers, too. c) One non-financial document (gas bill, water bill, power bill). 3) You need to get attested by a legal authority by filling out the face-to-face verification form. You can download the form at this link. The face-to-face verification letter should be signed by a Notary, Latin Notary, registered Attorney, Certified Public Accountant (CPA), or a Justice Of The Peace. The legal authority should have accreditation and a license number that is available online. 4) You need to provide all this information to Comodo/Sectigo Validation Department by contacting Comodo/Sectigo at https://www.comodoca.com/en-us/support/. Click on “Submit a ticket here”, select Validation Department and submit your request. Please include your Comodo/Sectigo Order ID in the subject and in the body of the message that you send to Comodo/Sectigo so that they know which order you are writing them about. 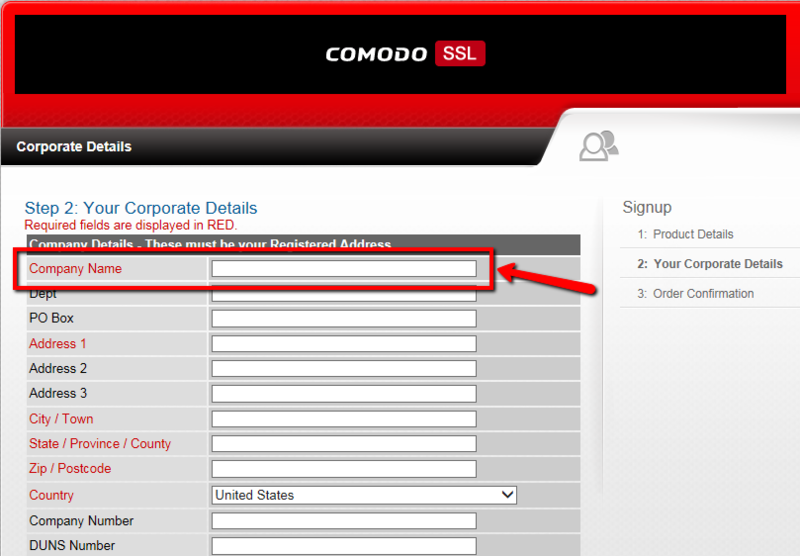 You can find your Comodo/Sectigo Order ID on your SSL Certificate’s details page inside your SSL Dragon account. See the screenshot on the right. 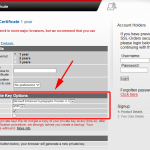 How can I find the Private Key for my Comodo (Sectigo) Code Signing Certificate? The Private Key was generated on your machine when you configured your Comodo/Sectigo Code Signing Certificate initially. The screenshot from the right shows the page where you configured your Comodo/Sectigo Code Signing Certificate initially. As you can see in the screenshot, you were given instructions on how to check and backup your Private Key. When you configure or re-configure your Comodo/Sectigo Code Signing SSL Certificate, it is best to use some specific browsers for that. Here is an article that describes which browsers are best to use for configuring a Comodo/Sectigo Code Signing Certificate. 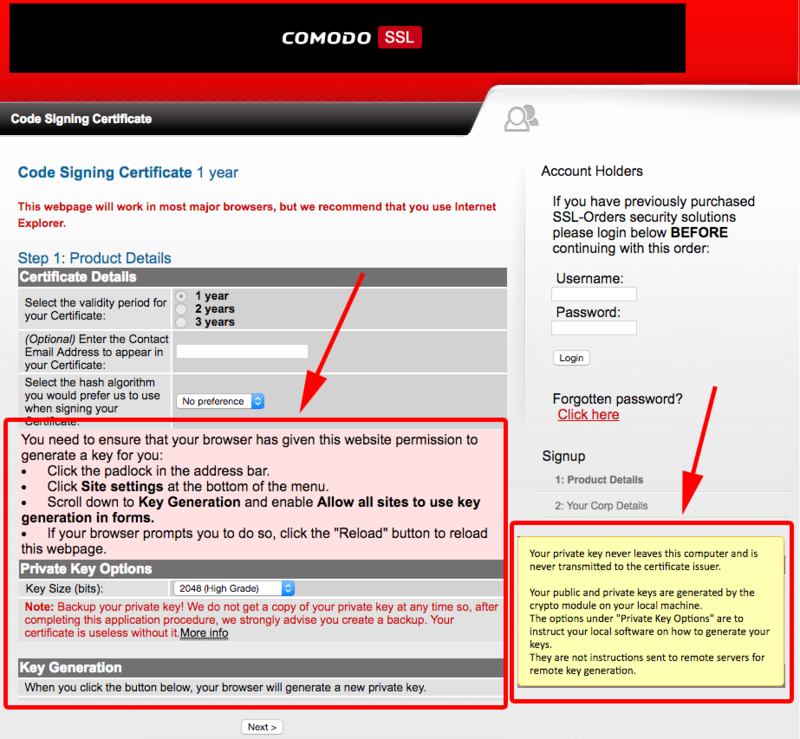 How to install my Comodo (Sectigo) Code Signing Certificate?